This season we’re celebrating the amazing avocado and sharing this delicious veggie-friendly superfood salad recipe, which is guaranteed to wow the carnivores too. Heat the oven to 200C/180C fan/gas 6 and line a baking tray with cooking parchment. Tip the butternut squash onto the tray, drizzle with 2 tsp oil and season well. Roast for 20 mins, then push the squash to one end of the tray, add the broccoli to the other end and drizzle with 1 tsp oil. Season and roast for 10 mins more. Meanwhile, make the dressing. Put all the ingredients in the small bowl of a food processor, add 1 tbsp water and a pinch of salt. Blitz to make a loose dressing, adding a little more water if necessary. Squeeze the pouch of quinoa to separate the grains, then tip into a large bowl. Add the herbs, spring onions, pomegranate seeds and pine nuts. Add the remaining 1 tbsp oil, season and toss everything together. Add the roasted veg too. Divide the salad between two plates and drizzle over the dressing. 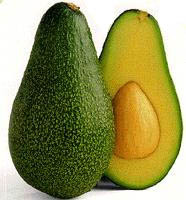 Halve the avocado and remove the stone, then slide a dessertspoon between the skin and flesh to remove it in one piece. Place on a chopping board, rounded side up, and thinly slice. Squeeze over the lemon juice, then slide a knife underneath and lift half the avocado onto each salad. Top with the sprouts and grind over a little pepper. Enjoy! Image courtesy of Agromonitor Agricultura on Flickr.